Not just fake news. There is also quite a lot of fake science around and there always has been fake economics. Ancient alchemists had more rigour and integrity than many economists today. What characterises fake science and fake economics is that they start with a “politically correct” result and then “generate” the science (by cherry picking, ignoring inconvenient data and even fakery) as proof. I have long thought that economics is a “black art” and if anything a social study and a long way from being a science. Much of the status economics enjoys as a discipline is due to the existence of a Nobel prize (which was not wanted or instituted by Alfred Nobel himself). It was something dreamed up by the Swedish Central Bank to elevate the status of their own charlatans. Economists are usually very good at making hindcasts and developing theories about what has just happened but are remarkably useless in making forecasts. There is no economic theory that does not contain a large measure of political or religious advocacy. The Bank of England economists who made dire predictions about the consequences of Brexit are now desperately trying to justify why they made such utter fools of themselves. But it has been the same with IMF and World Bank, EU and UN economists. Excellent at hindcasts and useless at forecasts. The Bank of England has admitted its dire warnings of a downturn in the wake of the Brexit vote were a “Michael Fish” moment and said that the economics profession was now in “crisis”. Andy Haldane, the Bank of England’s chief economist, said there was a “disconnect” between political warnings about Brexit and the “remarkably placid” state of the markets, adding that the worst predictions may turn out to be “just scare stories”. He made the concession as new figures suggested Britain was the fastest growing of all advanced economies last year after the services sector defied gloomy forecasts to hit a 17-month high. The FTSE 100, the index of Britain’s biggest companies, closed on a record high for the sixth time in a row on Thursday – the longest run for 20 years. At an event at the Institute for Government in London, Mr Haldane said that criticism of economists was a “fair cop” after they failed to predict the financial crisis and were wrong about the impact of the Brexit vote. He compared their performance to Mr Fish’s infamous weather forecast in October 1987, in which he dismissed warnings that a hurricane was “on the way” but noted there could be high winds in Spain. There are “positive” questions in economics that have mathematical answers — things that simply must be true — and then there are “normative” questions that amount to value judgments on points of policy. In economics classes, we teach the former and usually stop short when faced with the latter. This leaves a hole in any discussion of economic policy; students acquire first principles but rarely consider real-world applications, because to do so would presuppose a social or political point of view. In the case of free trade and globalization, this omission has been disastrous. 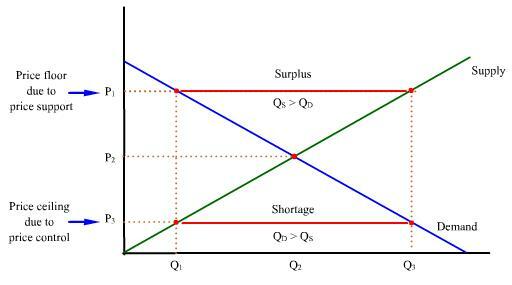 All first-year students of economics learn the theory of comparative advantage and gains from trade. They see a mathematical proof showing that when two countries trade goods or services, the benefits to the winners outweigh the costs to the losers. They are assured, correctly, that this result allows everyone to be made better off — or at least no worse off — by trade. Yet the redistribution required to generate this broad improvement in living standards is hardly addressed, or sometimes even mentioned. A recent article …. got me to wondering why “Economists” and “Economics” – in spite of their gross and sometimes spectacular failures – have the high status they do. I come to the conclusion that “Economists” are – by and large – just religious or political advocates and “Economics” is no more than a study of social behaviour. ….. The practice of the black-magic that is considered economics – for it is certainly no science in the Popper sense – gets much of its cloak of respectability from the fact that the Nobel Prize exists (more correctly the Sveriges Riksbank Prize in Economic Sciences in Memory of Alfred Nobel). The Nobel prize in Economics should never have been created. In fact Nobel never wanted one and he is probably spinning in his grave as prize winners, one after another, prove – at best – to be mere historians and – at worst – religious or political zealots. The prize adds more stature to the discipline of economics than it deserves. Almost every economic theorist has developed wonderful hindcasts but few – if any – have produced theories which can consistently make correct forecasts. ….. The political advocacy which is inherent in the theses promoted by Nobel Economics laureates have led to spectacular failures. Milton Friedman and his rabid monetarism gave rise to many of the crises today, Muhammad Yunus and the Grameen bank with their concept and practice of microcredit have exacerbated the risks of the debt trap into which so many small farmers have fallen. Krugman’s politics are essentially of the left and usually encourage profligacy. His analyses are more destructive than constructive and he has fault to find with almost every other theorist cutting across all political boundaries. He himself has yet to advocate any consistently successful theories. Amartya Sen focuses on analysing the “economics of poverty” but has nothing real to offer for its alleviation beyond platitudes representing his own political values from his ivory tower. The world’s economies lurch from one crisis to the next but rarely are the crises foreseen. The only constant that can be observed is that growth – when it happens – leads to the improvement of the human condition but no “economic theory” has been able to deliver sustained growth. Growth – when it happens – achieves more for poverty alleviation than any social welfare program. Real wealth creation achieves more in achieving full employment or achieving social equality than merely redistributing a static pot of wealth. This entry was posted on January 6, 2017 at 6:45 am and is filed under Economics, Economy. You can follow any responses to this entry through the RSS 2.0 feed. Both comments and pings are currently closed.